OpenSUSE 13.2 was released a week ago. As with the recent Fedora update, the latest release of openSUSE took a year to develop instead of the standard six months as the organization retooled its development practices. 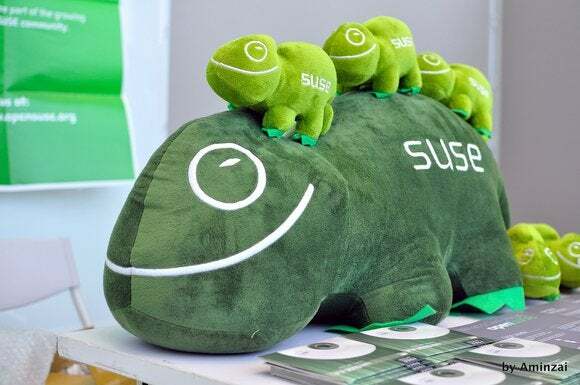 SUSE Linux has now been around for over 20 years, and it’s still going strong. As usual, the latest release serves as a foundation for developing Novell’s SUSE Linux Enterprise and brings some significant new improvements. So let’s dive right in! OpenSUSE provides live media, and that live media can now be persistent. This means you could set up a live openSUSE 13.2 USB stick and have your files and settings saved on it between uses. 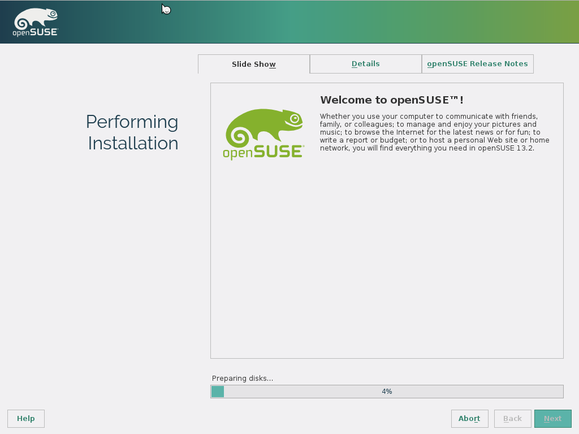 But openSUSE still recommends using an old-fashioned DVD installer disc of 4.7 GB in size for actually installing the operating system on your computer. The installer lets you choose your preferred desktop—GNOME, KDE, or another one. GNOME and KDE are on fairly equal footing in openSUSE these days, but the openSUSE community has always loved KDE. KDE 4.14 is the default, although GNOME users will also be right at home. The openSUSE installer has seen a lot of much-needed polish and streamlining. Previously, the installer had a “phase 2”—first it installed on your system, and then you’d reboot into your new system and be forced to go through an additional setup process. Now the installer does everything during the standard installation process, and there is no phase 2. The installer also has a “brand new look and feel focused on usability” and a removal of configuration screens like LDAP user authentication and printer setup. You can adjust these settings after you install the system, if you need to. OpenSUSE uses the new Btrfs file system by default. If you prefer another Linux distribution, it will probably start using Btrfs soon, too. It’s clear that this is the future file system that will replace ext4, so the only question is when it’s stable enough for Linux distributions to flip the switch. OpenSUSE has decided the time is now. Btrfs is sometimes pronounced “better FS,” and that’s what it is. It’s faster, more robust, and more modern. One of its most interesting features is the ability to create file system snapshots. OpenSUSE uses this to great effect, providing a boot menu option that allows you to boot straight into those previous snapshots via the “Snapper” tool. This is great for recovering from system problems, as it allows you to boot straight into an older file system state before corruption and other problems occurred. The snapshot feature is also available in the just-released SUSE Linux Enterprise Server 12. This is an enterprise-grade feature—not just a new-and-unstable toy. The YaST configuration tool—literally an abbreviation for “Yet another Setup Tool”—is used for system configuration. This has always been one of SUSE’s most distinctive features. In the past, it’s sometimes been overly slow and clunky, but it also provides a one-stop graphical configuration interface for practically everything you’d want to do when configuring a Linux system, from modifying your bootloader’s menu to configuring various different types of servers. 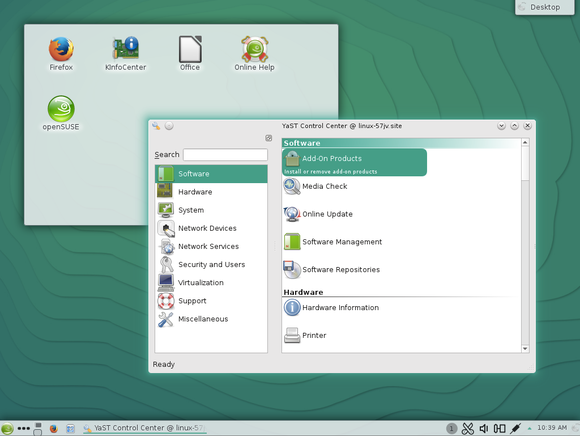 OpenSUSE 13.2's YAST on the KDE desktop environment. In openSUSE 13.1, YaST was rewritten in the Ruby programming language. They’ve now had time to polish that work better. YaST is now faster, more stable, and better integrated with Btrfs, systemd, and other modern technologies. As usual with Linux distribution updates, many— if not most—of the changes you’ll see are just the result of upgrading to the latest versions of the various upstream software packages. This means Linux kernel 3.16, KDE 4.14, and GNOME 3.14. 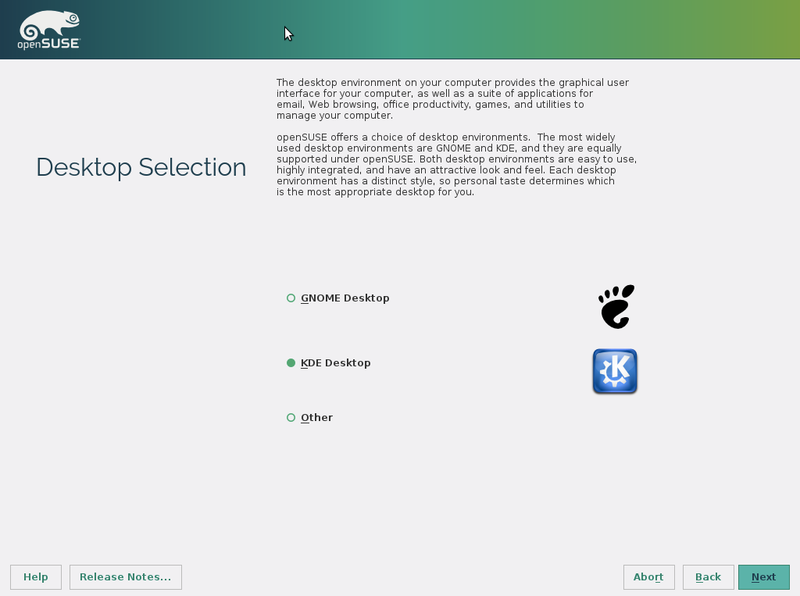 OpenSUSE’s repositories now include the MATE desktop, too—good news for GNOME 2 diehards! A preview of KDE’s new Plasma 5.1 desktop is also available. For more details about all the various changes, check out the official list of major features.